We are glad you are here...... email with questions and come by our physical store when you can. Let us know how we can assist you. 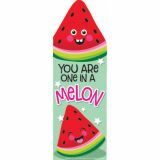 Fun and colorful Eureka Scented Bookmarks have a long-lasting smell that will make reading even more fun! 24 scented bookmarks per pack. For best results, scratch top of bookmark to release scent. Alphabet learning will stick with these colorful sets. 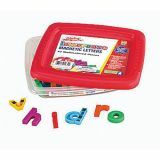 Kids can use the magnetized letters to create their favorite words or phrases. 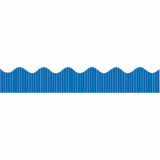 AlphaMagnets are shaped accurately with correct proportions, and are made with strong magnets for a “sure stick.” Alphabet assortments come with more of the letters you need most (extra vowels a, e, i, o, u, and consonants b, l, m, r, s, and t), and include punctuation marks. Sparkling Bordette® offers great contrast and eye-catching appeal! 2 1/4" x 25' roll. Birthdays are groovy when you celebrate with Pete the Cat! 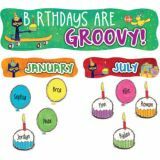 Includes "Birthdays Are Groovy!" banner, 12 month headers, and 36 pieces for student names. 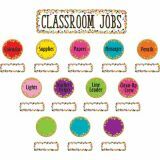 A teacher guide with activities and reproducibles is also included. Set of 49 pieces. 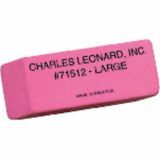 Largest piece measures 20-1/2" x 5-1/2". 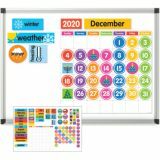 Bright, contemporary calendar attracts directly to your whiteboard—large and easy to see! 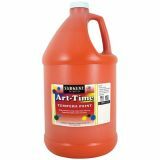 Great for daily calendar activities every morning. 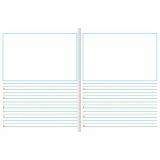 Month grid is dry-erasable and measures 17-1/2”W x 16”H. 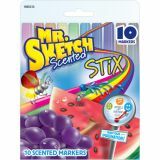 Each colored marker has its own fragrance! Fine tip. 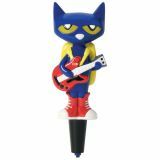 Meet Pete the Cat®, the hippest new Hot Dots® Jr. pen! Young learners simply press the pen to an answer in any of the Hot Dots and Hot Dots Jr. books or cards sets, and this ultra-cool cat uses lights and music to guide them through a variety of early learning activities.